We count on emergency responders to jump head-first into dangerous situations, but how do they gain the experience to do so without endangering themselves? Training facilities that mimic urban streets and buildings - called city grids - are a key part of the answer. 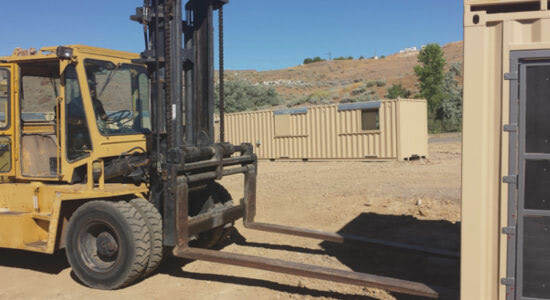 By creating realistic but controlled conditions, modified shipping container facilities prepare fire fighters and police officers for real-world emergencies. 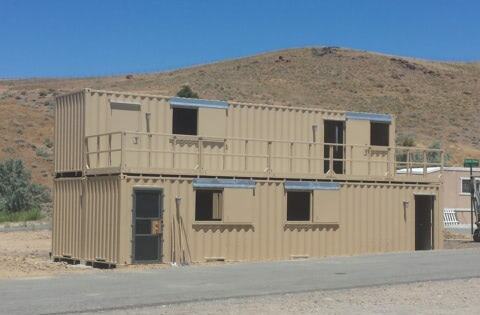 When the Washoe County Sheriff’s office, which is located in Nevada, contacted Falcon Structures, they wanted to add a structure to their city grid that could simulate emergencies in office, hotel, apartment, or residential settings. In the field, first responders don’t know what to expect behind each door. To emulate the unpredictability of the real world, the department needed a facility that could be regularly reconfigured. The structure would also have to fit within a pre-determined budget to get initial stake-holder buy-in. The department purchased and installed the facility in phases to spread out costs. They started with a training structure made from five 40-foot shipping containers. Falcon Structures used three containers to create a two-story structure with an open air balcony and stairs that could imitate a residence. 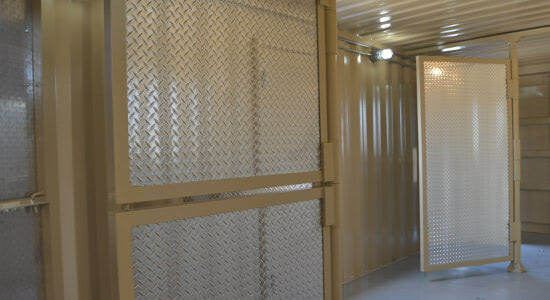 Attached to the lower level, two parallel containers created a corridor with multiple doors that could represent a hallway in an office, apartment complex, or hotel. Installation took less than a week. 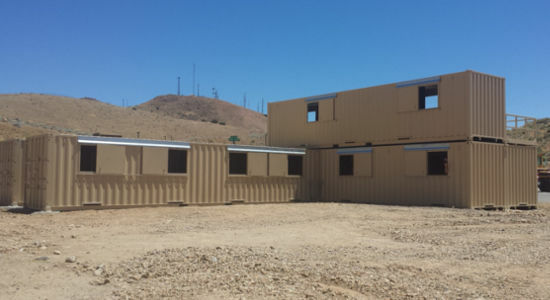 Satisfied with the first phase’s performance, the department installed three additional containers that extended and capped the hallway. The sheriff’s department is planning to extend the facility again in near future. Falcon’s modifications created a sense of realism through versatility while maintaining the inherent durability of shipping containers. The training structure will hold up for many years to come, even as trainees kick down doors and hose down fire simulations. Movable walls for versatile layouts. A three-unit, two-story structure with stairs and an open-air balcony. Draining floors for easy clean-up after fire-training exercises. Windows with sliding coverings to create darkness and surprise entrances. Breach door-frames that could survive trainees repeatedly breaking down doors. Considering a conex container training facility? Give us a call at 877-704-0177 or email sales@falconstructures.com.